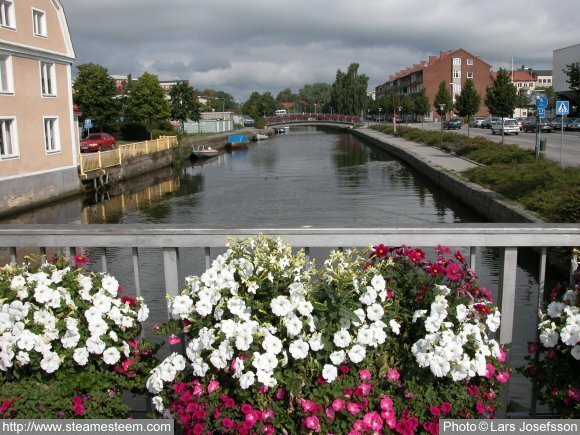 I have walked along the canals of Venice and Amsterdam, I have seen the bridges of Paris, I sailed through the Kiel Canal, Suez Canal and the Panama Canal, but to walk along Mieån in Karlshamn gives a beauty experience that exceeds everything. 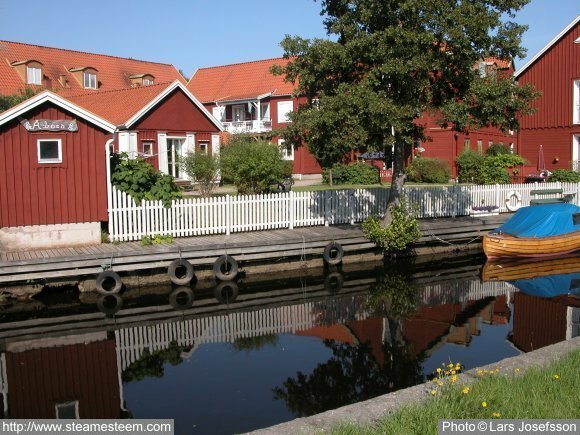 A small reasturant by Mieån in Kalshamn center. 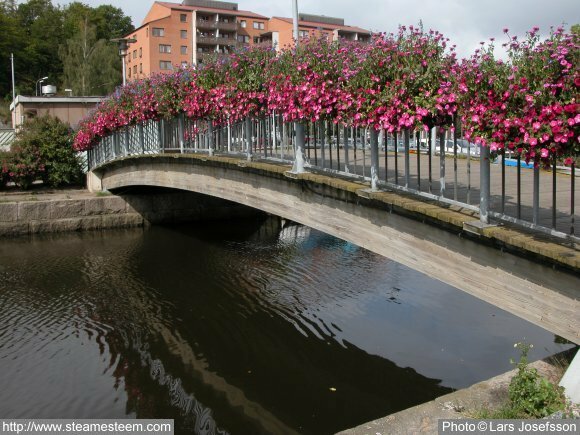 Many of Karlshamn bridges over Mieån is adorned with flowers during the summer. Older buildings where boats once loaded and unloaded. Notice the crane beam located at the top of the gable. 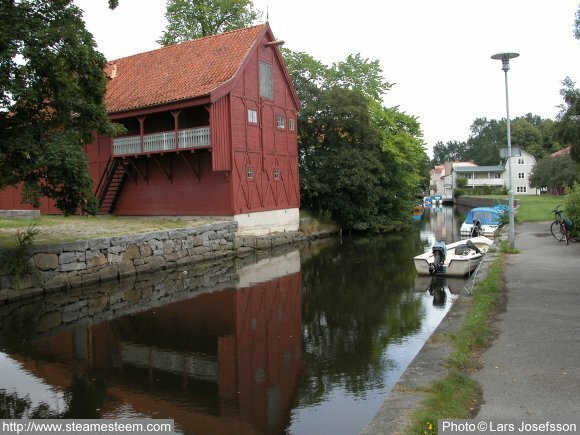 Karlshamn has mixed old and new buildings. 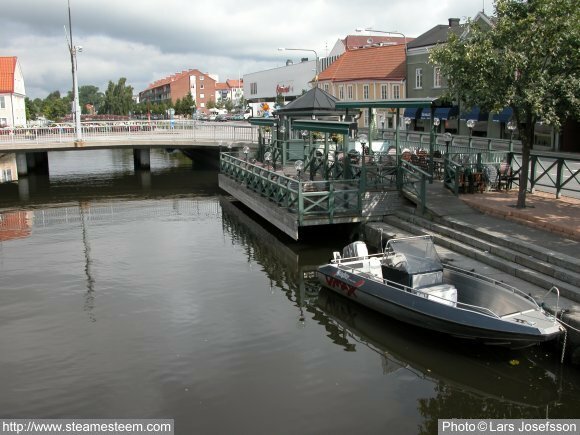 Nowadays only small boats will past this bridge. 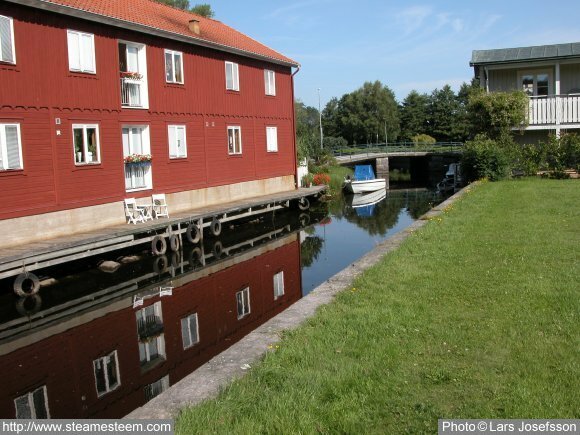 One of Mieån numerous idylls in Karlshamn. 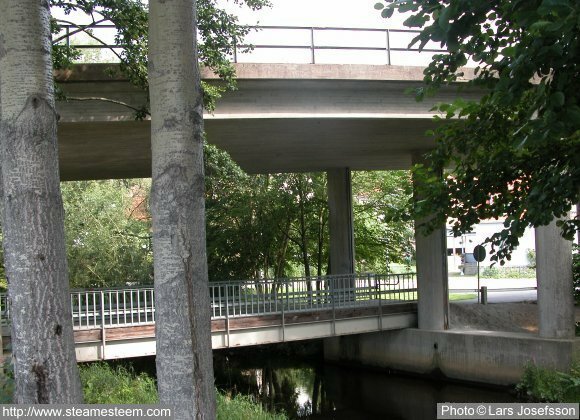 In Karlshamn, there are many bridges over Mieån, even double. Railway bridge and causeway. 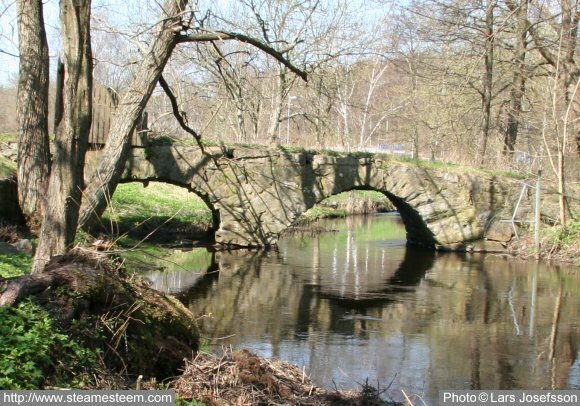 An old bridge that is not used anymore. 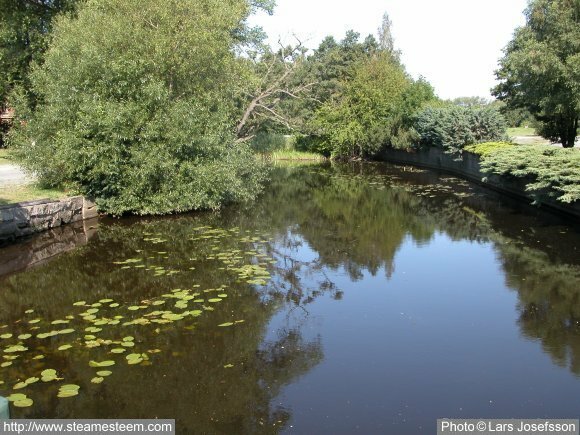 Even anglers who fish in the river have access to that fine old bridge.